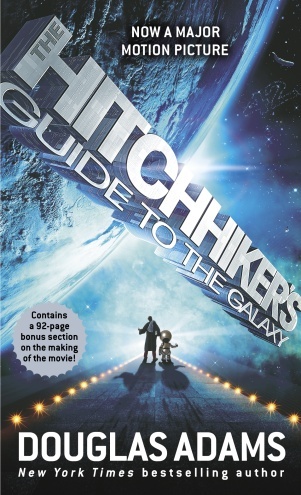 In addition to the Hitchhiker’s Guide to the Galaxy blog, which I wrote about a few days ago, Touchstone Pictures has created an Official Movie Website. This movie website is a beauty. You are introduced to the characters, given a VR tour of several sets, and get a funny tour of the Guide itself. I dropped in for a quick fly-by and spent a half hour poking in various corners. There are many more. What I enjoyed most was the genuine affection Douglas Adams shows for his villians. They are artfull crafted and have their counterparts in our daily lives. The movie adds a new dimension to Adams wonderful characters. No matter how bizarre they are, their motivation is clear and you get a new appreciation for Douglas Adams writing. I expect to enjoy this movie. Let us hope that all the good bits are not confined to the trailers.